We know you will have lots of questions, so below we try to anticipate those and answer them for you. If you don’t see what you are looking for please contact us and we will be more than happy to assist you. Who is eligible for meals? Are homebound and unable to meet basic nutritional needs, either temporarily or permanently. Have no reliable options for nutritious daily meals. Reside in Lehigh or Northampton counties. I have a family member in need of meal deliveries. They live with another family member who doesn’t prepare meals. Do they still qualify? Yes, if the person in need of meals is unable to prepare meals while the other family member is not home. Can I sign my family member up for meal delivery? Of course! We receive referrals from any number of sources. The person you are referring for meals must agree to the service before we follow up to determine eligibility. Please read these FAQs so that you can explain the process to your family member. How can I sign up for meals? Call our office at 610-691-1030. Use the form on this website. Staff will contact you to make an appointment to meet with you and review your financial information and health conditions. Staff also will share our client folder packet. After this visit, it takes 2 working days to start meals. Do you serve medically tailored meals? Meals for special diets? Yes! We comply with the U.S. Department of Agriculture food pattern and Pennsylvania Department of Aging nutrition guidelines. All of our daily home-delivered meals are diabetic- and cardiac-friendly. They are low in fat, sodium, and cholesterol. We also accommodate for renal, soft, pureed, and lactose-intolerant diets. That depends on how many meals you want and what your income level is. We use a sliding-fee scale for clients who have certain financial needs. You may be eligible for county funding. Meals on Wheels staff will help determine how much you will pay. Weekend meals (delivered as 1 or 2 frozen meals) are available at the same cost as a hot daily meal. We accept VISA, MasterCard, cash, check, money order, and SNAP benefits. Meals are delivered Monday through Friday. Meals will arrive between 10pm and 1:30pm, depending on your route. We have a HUGE team of volunteers who deliver meals every day. They look forward to delivering your meal as much as you look forward to receiving it. Many of our volunteers have been delivering for years. Volunteers will spend a few minutes talking with you and asking how you are doing. However, they can’t stay too long because they have other meals to deliver. What if I’m not going to be home at the delivery time? Always call our office for any change in your schedule. If you won’t be home to get your meal on a temporary basis (i.e., you have a doctor’s appointment that day), please make arrangements for a neighbor to hold your meal for you or put it in a community refrigerator. We are committed to your food safety. We care about the quality of your meal. That is why we will never leave a meal in a cooler outside your door. We must hand it to a person who will take care of your food until you can eat it. Sometimes I can’t get to the door or I don’t hear the doorbell. Will the volunteer leave with my meal? The volunteer will call the Meals on Wheels office if you don’t answer the door. We will try to reach you by phone. If we do not speak with you, we will call your emergency contact. Our volunteers will not enter your house without permission. If you are in distress, we will call 911. What if I’m going into the hospital? Or visiting family for a few days? We require 2 business days’ notice for any change in service status. We understand that emergencies come up, and we will do our best to accommodate you. Will you deliver to me if I have pets? Absolutely. We love our pets, too! All we ask is that you have your pet under control when our volunteers deliver your meal. That might mean that your pet is kept in a separate room. The case manager will review this with you at your first meeting. In fact, we have a program called Ani-Meals. If you receive daily meals, you might qualify for this extra help. Ask the case manager if you are eligible. What types of meals can I get? Your options are a hot tray meal daily, hot and cold daily, frozen weekend pack (2 meals that are delivered on Thursdays), weekly frozen delivered meals (that are delivered on a Tuesday or Wednesday), or Chef Pack meals, which are frozen entrees that you order anytime. Can I receive both the Chef Pack and the daily hot meal? Yes! Our sliding-fee scale does not apply to Chef Pack meals. Chef Packs are payable on the delivery date. We accept VISA, MasterCard, check, money order, and SNAP benefits. How much does the grocery shopping service cost? There is a $5.00 delivery fee for this service. Who can get grocery shopping services? Grocery shopping is available to people who have difficulty getting out to the store to shop for themselves due to health, transportation, or other issues. What grocery stores can I use? Our shoppers can shop at Giant, Redner’s Markets, and Weis. When will my groceries be delivered? A volunteer will be scheduled to fit into your schedule. Most shopping trips happen between Tuesday afternoon and Friday afternoon. You will be given a 2-hour window for delivery once your shopping volunteer is scheduled. All groceries are billed through Meals on Wheels of the Greater Lehigh Valley. You can pay with SNAP benefits, credit card, or check. We keep your information on file. We charge your credit card or SNAP account when shopping is completed. Check payments are due at the time of delivery. We take grocery orders on Monday and Tuesday. Our grocery line is 610-691-6708. You can call in anytime between 4pm Friday and 8am Monday, and leave your name and telephone number on our voicemail. A volunteer or staff member will call you to take your grocery order. Order calls are made between 8:30am and 11am on Monday for Northampton County clients and 8:30am and 11am Tuesday for Lehigh County clients. Our shoppers will shop for anything except alcohol, tobacco products and prescription medication. We limit orders to 25 items. See our Grocery Shopping Handbook (link) for more information. Who will deliver my groceries? An authorized Meals on Wheels of the Greater Lehigh Valley volunteer will shop for and deliver your groceries. All volunteers have had criminal background checks. You will get the volunteer’s name before he or she goes shopping. Can I get sale prices with a bonus/shopper’s card? Meals on Wheels of the Greater Lehigh Valley has shopper’s/bonus cards set up with each store, so that you will get the sale price. Can I use coupons for my shopping? We cannot use manufacturer coupons at this time. What if my shopper can’t find what I want? Your shopper will be given your phone number with your order. If he/she has questions or if something is not available, your shopper will call you. What if they buy the wrong item? We do our best to get exactly what you want. Unfortunately, mistakes happen. We will work with you to fix the problem if necessary. What type of volunteers do you need? What is the volunteer service area? Meals on Wheels of the Greater Lehigh Valley serves both Northampton and Lehigh counties. We need volunteers in both counties! If I deliver meals, what exactly do I need to do? On your scheduled delivery day, you would arrive at the pick-up site at your assigned time for announcements and meal pick-up, then load your hot bag and cooler into your vehicle, and head out on the route. At each client’s home, you’d check the route sheets for any special delivery instructions, find the meals with the client’s name, and deliver it to the client’s door. We expect our volunteers to do a daily wellness check for our clients. This could mean chatting for a few minutes, asking how the client is doing, or offering to check the mail. After delivering all your meals, return your cooler, hot bag, route sheet, and any signage to the Meals on Wheels of the Greater Lehigh Valley pick-up site. How does a grocery shopping trip work? We call grocery shopping volunteers on Monday or Tuesday morning with a client shopping assignment. Once a shopping day is scheduled, shoppers go to a designated store and pick up the client order at customer service and shop. Shoppers go through the regular check-out, and all groceries are billed to the client. The shopper then delivers the groceries to the client’s home. It’s easy to sign-up. Complete the volunteer registration form (link) and a member of the volunteer services team will contact you. Do I need background clearances? Yes! This is for the protection of our clients and our volunteers. We conduct all clearance checks through a nationally accredited company, Verified Volunteers. The clearance costs $35, and we cover $10 of this cost. Do I need to do volunteer training? Yes. Meals on Wheels of the Greater Lehigh Valley offers both online training and in-person training classes. A volunteer services team member can explain the options to you. Because our volunteers see our clients on a daily basis, we do expect that you take at least 3 hours of training each year to maintain your status as an active volunteer. Our class schedule is coming soon. Volunteering can range from about 2 hours per month to 2 hours every day. Your time commitment can be customized to fit your schedule. Yes. We have many volunteers who work full-time. Grocery shopping is a great opportunity for people who work, because shopping times and days are flexible. Many employers will allow their employees to volunteer during work hours as a community service. Please contact your human resource department for availability. Do you accept community service volunteers? We do accept volunteers who may need to meet the requirements for school, church, or scouting service projects. Volunteers under age 18 need to be accompanied by an adult Meals on Wheels of the Greater Lehigh Valley volunteer. We will track service hours and can provide a report for students to use for verification. We do not accept court-ordered community service. Yes, our clients love when children volunteer and bring them their meals and groceries. It’s a wonderful way to introduce your children or grandchildren to volunteering and interacting with people of different ages and ability levels. Children must be accompanied by a Meals on Wheels of the Greater Lehigh Valley volunteer. If you are bringing a child, please let us know in advance. No, we do not require that you have a partner to deliver meals or grocery shop. If you would prefer to go along with another Meals on Wheels of the Greater Lehigh Valley volunteer, our schedulers can arrange it for you. Do I need use my own vehicle? Yes, you will need to use your own vehicle to deliver meals or grocery shop. We require a photocopy of your driver’s license and current insurance card. 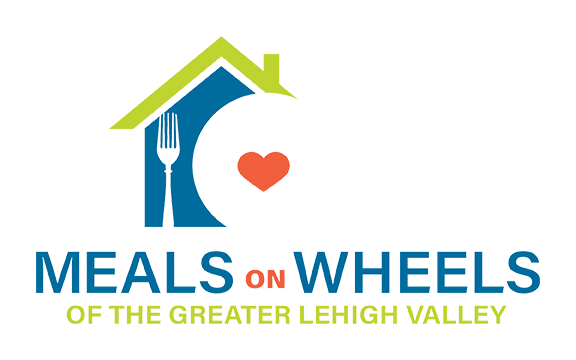 Meals on Wheels of the Greater Lehigh Valley can provide a mileage report for tax return purposes or mileage reimbursement for certain volunteer positions. As a meal delivery volunteer, we try to keep you on the same routes from day to day unless you are willing to fill in where we need volunteers. Clients may be shifted from one route to another, however, depending on fluctuations in client counts. Grocery shopping clients, meanwhile, often shop for the same person(s) depending on the client’s shopping needs. What happens if I am scheduled to volunteer but my availability changes? You can go online to our scheduling program and remove your assigned date(s). You may also notify our office by phone. The more advance notice, the better! Are donations made to Meals on Wheels tax-deductible? 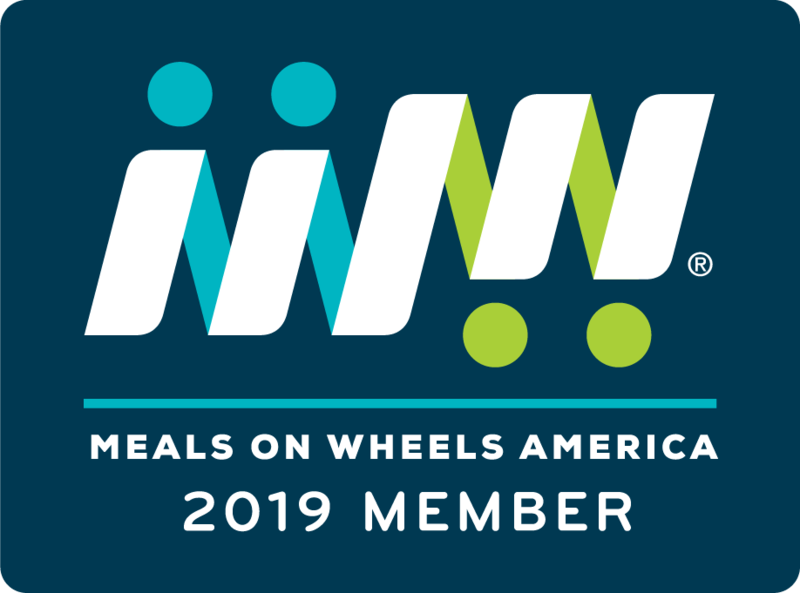 Donations to Meals on Wheels are tax-deductible (including donations to events like Team Meals on Wheels at the Highmark Walk); however, certain donations in which the donor receives a good or service in return for a donation are not tax-deductible or may be only partially deductible. This would apply to Sponsorships and tickets purchased for the Bountiful Bowl Annual Gala. What is the Federal ID number for Meals on Wheels? Federal Tax ID number (also known as an EIN, Employer Identification Number) 23-1861779. Meals on Wheels of the Greater Lehigh Valley is a 501 (c)(3) tax-exempt organization. It’s easy to celebrate the life of a friend or loved one by making a donation to the Meals on Wheels in their honor or memory. If giving online, select “in memory of” or “in honor of” under the label “Type of Tribute” and write the loved one’s name in the “Tribute Name” box. If mailing in a donation, you can include a note or simply write the tribute in the memo line of the check. Is the family notified of my donation? Yes. We compile donations given in memory of someone and send a letter listing all donations to the next of kin, unless you request that the gift remain anonymous. To assist you and your financial advisor in structuring planned gift contributions, here is the Form 8283, the Form 8282, and a copy of the MOWGLV tax exempt letter. Can I make monthly, automatic donations to Meals on Wheels? When you pledge to give a specific monthly donation by credit card — in an amount you are comfortable with — you join a group of committed supporters helping to ensure no senior goes hungry in the Lehigh Valley. Use our safe and secure online form and select “recurring donation” to start helping today! How to do I give a planned gift? What is the Legacy Society? What type of gifts qualify for membership into the Legacy Society? The Legacy Society was established by the Board of Directors to give deserving recognition to friends whose generous gifts support the Endowment Fund. Outright gifts of cash, appreciated securities, as well as tangible property such as real estate with a value of $5,000 and more qualify for membership in the Legacy Society. However, a gift in any amount is appreciated to support the Endowment Fund. Bequests – naming MOWGLV as a beneficiary in one’s will. Charitable Trusts – including but not limited to Charitable Remainder Trusts and Charitable Lead Trusts. What type of recognition is offered to those who support the Endowment Program? All outright gifts are recognized in our Annual Report, unless the donor requests to remain anonymous. Donors whose outright or future gifts toward endowment totaling $5,000 and more will be listed as members of the Legacy Society. The Legacy Society listing is posted on our website and our Annual Report each year. A framed listing of the Legacy Society membership is also prominently displayed in the Board Room at Meals On Wheels.